Blue Exorcist is an action, supernatural, shōnen anime. That’s not to say that it can’t be enjoyed by everyone! The manga was released in 2009 and the anime in 2010. 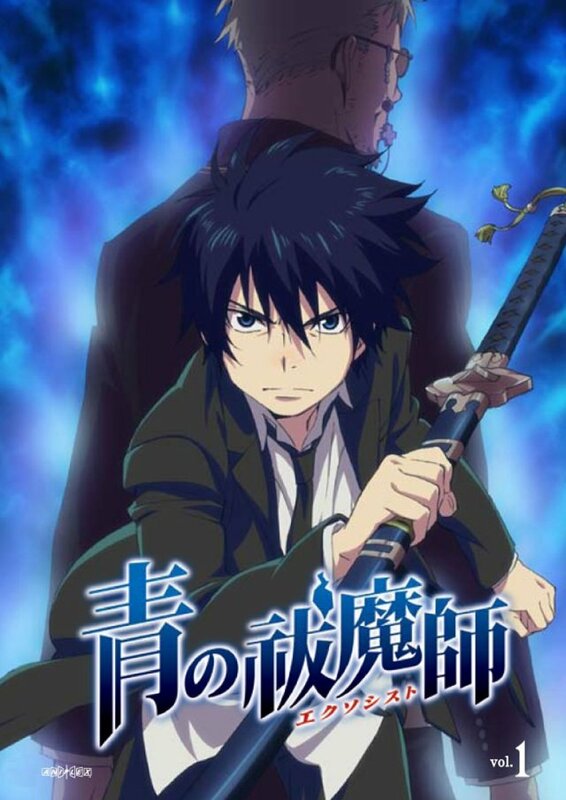 The protagonist of this anime is a 15-year-old boy named Rin Okumura, who with his younger twin brother Yukio were raised by a priest/exorcist, Father Shiro Fujimoto. Rin discovers that he, and his brother, are not the son of a man and woman, but rather the son of a mortal woman and Satan. His demonic powers are beginning to surface and are shown in blue flames which shroud his body, said to be the mark of Satan. Rin witnesses Fujimoto dying before his eyes, as a result of an assault on the mortal world by the demon realm in hopes of retrieving Rin. Rin is enraged by Fujimoto’s death and swears to go to the Exorcist cram school, True Cross Academy, to become Paladin, defeat Satan and avenge Fujimoto’s death. My Review: I really enjoyed this anime, it held my interest all the way through which is no easy feat. It’s not all serious though with a sprinkling of humour and oddity mixed in with the action and supernatural. In addition, I found it quite easy to connect with the characters and really enjoyed their interactions. This anime is very near and dear to my heart as it is the first anime I ever watched. I was introduced to it by our homesick Japanese exchange student, and it took me into the world of anime. I would absolutely recommend this anime for anyone, from full-fledged otakus and weeaboos to people who are new to the world of anime.